Pandey had taken over the charge of the GIFT City, that houses the country’s first International Financial Services Centre (IFSC), in August 2015 and his three-year term ended in August 2018. Ajay Pandey, Managing Director and Group CEO of ambitious Gujarat International Finance Tec-City (GIFT City) Co. Ltd, has stepped down after crisis-hit Infrastructure Leasing and Financial Services Ltd (IL&FS) decided to discontinue his services. According to Gujarat government sources, IL&FS could not longer “afford” paying him salary. The GIFT City is a 50-50 joint venture between the IL&FS and state-owned Gujarat Urban Development Company Limited. “The IL&FS has informed that they were not in a position to continue paying the salary of Ajay Pandey and so his term was not renewed. Salaries in the private sector are very high. 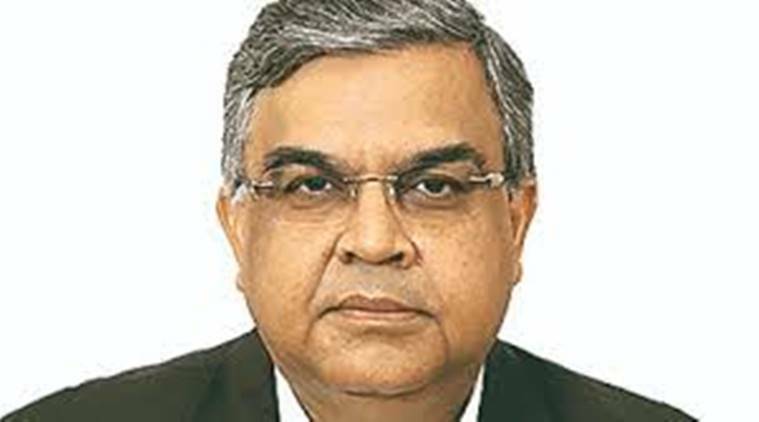 He was a nominee from IL&FS, while the chairman is a state government nominee,” Gujarat Chief Secretary J N Singh tells The Indian Express. “We are now trying to see how quickly a replacement can take over,” he adds. Pandey had taken over the charge of the GIFT City, that houses the country’s first International Financial Services Centre (IFSC), in August 2015 and his three-year term ended in August 2018. Pandey was re-appointed for an additional period of three years with effect from August 1, 2018. However, 57-year-old Pandey had to step down in March end this year. Apart from his salary, Pandey was entitled to a company car and driver to discharge his official duties. Among other allowances, he was also provided with reimbursement of entertainment expenses incurred for company-related activities. GIFT is conceptualised as a global financial and IT services hub — a first of its kind in India — that is expected to be at par with global benchmarked financial centres in Tokyo, Dubai, Paris, London, etc. It is spread over 886 acres, of which a Special Economic Zone that houses the IFSC comprises of 261 acres and a domestic traffic area of 625 acres. Under Pandey, the GIFT City had achieved substantial progress including, getting enlisted in the global capital markets’ map with approvals granted to 100 intermediaries, four consultants, one alternative investment fund, 11 banks, three insurance companies, seven reinsurance brokers and 13 IT/ITES companies. It was during his tenure two international stock exchanges — Indian International Exchange (India INX-BSE) and NSE International Exchange — operationalised in the GIFT IFSC. There are currently over 6,000 people working in close to 180 firms in the GIFT City. The premise also runs a school by Narsee Monjee Educational Trust. According to sources, in the absence of the MD & Group CEO, the day-to-day affairs are currently being handled by the head of departments of different units, including the IFSC. After Pandey’s exit, there are only 10 members remaining on the Board of Directors of the GIFT City – two nominees of the IL&FS, four of the Government of Gujarat, including chairman Sudhir Mankad, and four additional independent directors. This development comes months after Chief Minister Vijay Rupani said that the state government was considering buying the IL&FS stake in the GIFT City project. “Nothing concrete has happened regarding the sale of stakes yet,” Singh says. “There is a lot of development happening in the GIFT City. We were there yesterday and it is exactly what Gurgaon was looking like about five years ago,” he adds. Recently, in order to provide mass transportation connectivity, the Union cabinet had approved the Phase-II of the Ahmedabad Metro project that will provide the crucial link to the GIFT City to the residents of both Ahmedabad and Gandhinagar. The IL&FS had invested in the project way back in 2007 when the company had parked Rs 32.5 crore for 50 per cent of its shares. Gujarat government too had parked a similar amount in the project.